“ Angel " carving from the 17th, Italian school, small faults at the tip of some fingers. DIMENSIONS: H. 64 x 31 x 36 cm. 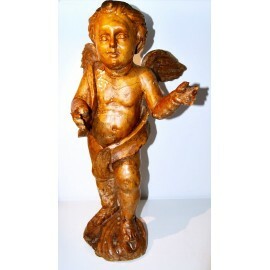 “ Angel " antique carving from the late seventeenth century, Italian school, remains of polychrome, small faults at the tip of some fingers.